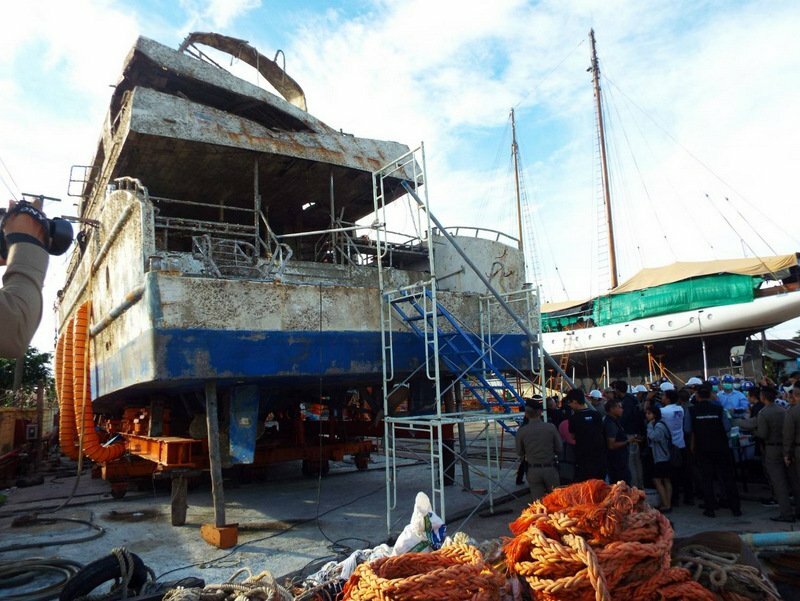 PHUKET: Investigators have been given seven days to gather what evidence they from inspecting the wreck of the ‘Phoenix’ tour boat, now sitting on the hardstand at Ratanachai Shipyard on the east side of Phuket Town. 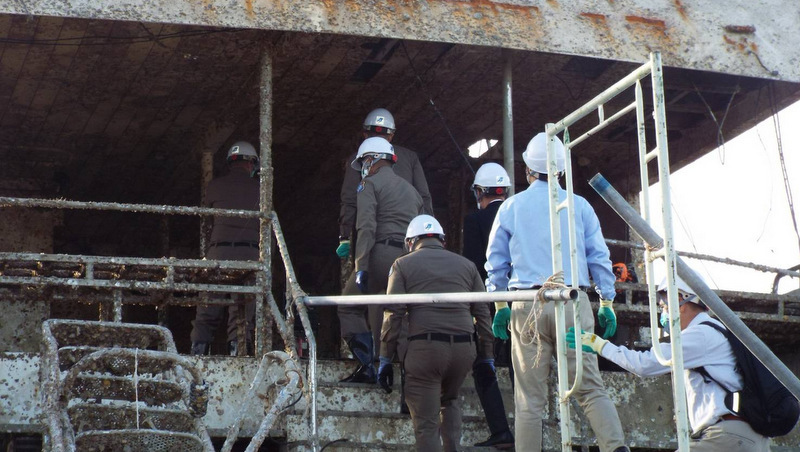 National police deputy chief Gen Rungroj Sangkram revealed the news during an inspection of the wreck yesterday (Nov 21). Joining Gen Rungroj was Immigration Chief Maj Gen Surachet Hakparn, who is assisting in leading the investigation of the boat, which capsized and sank on July 5, killing 47 Chinese tourists. Also present was Li Chun Foo, the Deputy Chinese Consul-General in Songkhla, and Director of the China Consulate-General in Phuket. “However, boat engineer specialists are the ones carrying out the intensive investigation of the deep details,” he said. “Engineers started their work today and have seven days to get all the evidence they need,” he added. “They will find the cause of why the boat sank as well as who is responsible for this incident,” Gen Rungroj said. However, Gen Rungroj did not give an explanation of why expert investigators were given just one week to carry out their inspections. 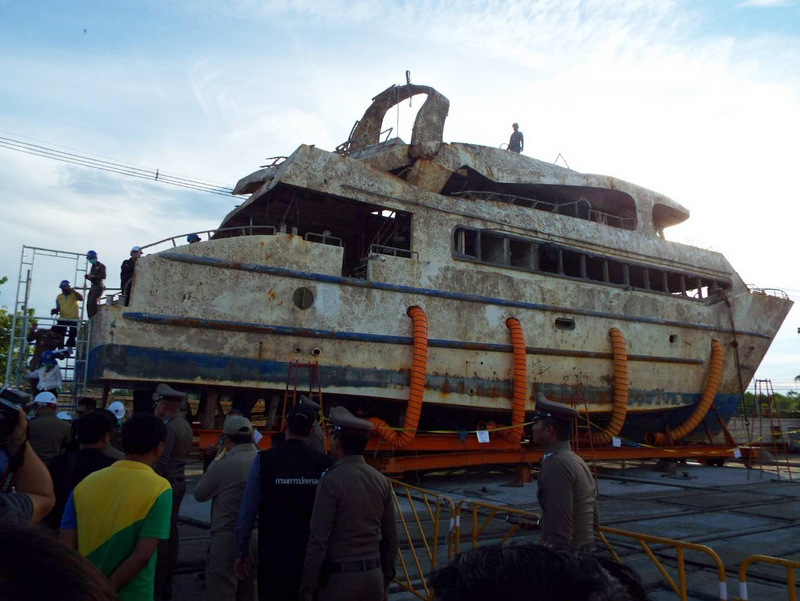 Previously, repeated announcements by leading officials, including Tourism Minister Weerasak Kowsurat and Marine Department Director-General for the country, Jirut Wisanjit, said that investigators would have 30 days to inspect the boat. Immigration Chief Maj Gen Surachate told the press that the order to carry out a full and proper investigation into the disaster had come for the highest ranks in Thailand. 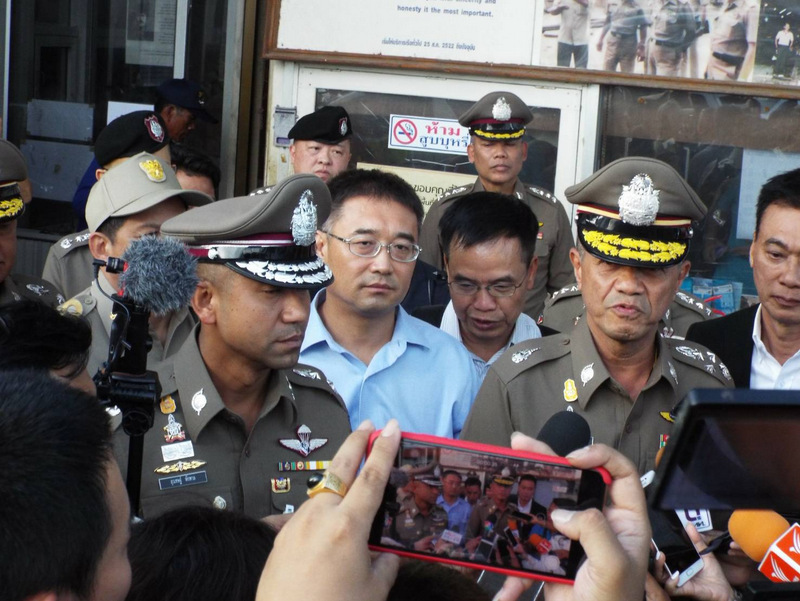 “Deputy Prime Minister Gen Prawit Wongsuwan ordered every department involved in this investigation to do everything they can to reveal the true cause of the accident,” Gen Surachate said. “Any officers found not doing their duty or not following regulations will be prosecuted,” he warned. Gen Surachate said investigators had already made progress on checking that the boat matches the legal specifications registered with the Marine Department. 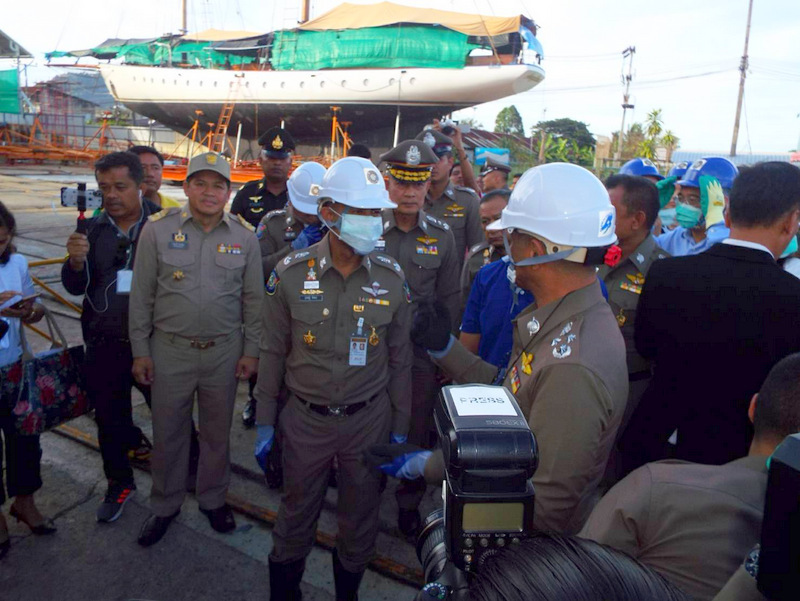 “Officers have already checked the boat and questioned the shipyard workers, and compared the construction of the boat with the blueprints registered. “The concrete ballast and the engine installed are all correct as registered,” he said. Gen Surachate also noted that Seacrest Marine is to be paid B35 million for recovering the wreck. Also no mention has been made of who will be held responsible for paying B10mn to Spitz Tech Co Ltd for their attempts to raise the Phoenix during four months of the heavy weather of southwest monsoon. The Marine Dept hired that company after Ms Woralak failed to have the boat salvaged within 20 days. 7 Days is more realistic than 30 days. Investigators had already 4 months to do the pre investigation about building, construction, blue prints, licenses, registrations, etc. Statements of all involved in that could have taken already. Now just 7 days checking at the wreck or all that is true and matching. And Ms Woralak, is she the real owner?